Our goal at The Robert Weiler Company is simple: We invest our time and effort into relationships that will both foster growth in the Columbus Ohio real estate marketplace—as well Central Ohio and beyond—and build communities that will become wonderful places for individuals, families, and businesses. You can choose from many commercial real estate services firms; however, there is only one obvious choice synonymous with superior CRE services: The Robert Weiler Company. When you select The Robert Weiler Company for all of your Central Ohio commercial real estate needs, you are opting for service that is beyond a voice on the other end of the phone or a prescriptive answer to your question. Service is more than that. Our passion is in the people that we assist. Our passion is in the relationships that we form with our clients. To us, service is more than a word – it’s a promise to you. 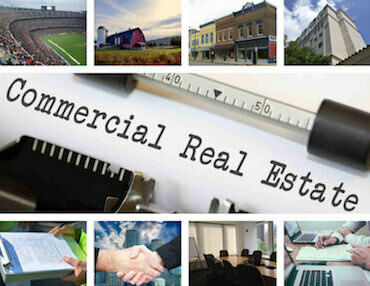 We provide accurate and reliable commercial real estate services. From real estate consultation to appraisal, to property management, development, and brokerage services, you’ll walk out of our door with the dedicated team at The Robert Weiler Company by your side. The real estate industry is, by no means, static. It is highly dynamic and always changing. We understand that when you choose a commercial real estate firm, you are looking for a partner and a confidant who will be guiding you throughout every step of the process. When The Robert Weiler Company opened its doors in 1938, times were different; we were moving out of the Great Depression and into WWII. There was a great deal of uncertainty. But we built an organization that was and still is ready for change and have been bringing positive growth to the Central Ohio region for 80 years. When it comes to commercial real estate in Columbus, Ohio — and throughout Central Ohio, no matter what you need, when you need it, or how you need it, we can provide it for you. Property Appraisal Services: We’ve been recognized for providing the highest quality product in the market, and handling commercial appraisal needs throughout the state of Ohio. Whether you need a tax appraisal, or an unbiased evaluation for legal purposes, we can help. Commercial Real Estate Brokerage Services: Focusing on sales, acquisitions, and leasing, our commercial real estate brokers have assisted thousands, in Central Ohio, to achieve their real estate dreams. We can help you, too. Commercial Real Estate Consulting Services: With the right mix of technical competency, in-depth analysis, and strategy, we can ensure that your deal reaches its maximum potential. And we have 80 years’ of commercial real estate industry experience to prove it. Real Estate Development Services: Real estate development is where we were born. Whether it’s an apartment complex, retail property storefront, or land development, our real estate developers have the background and know-how to meet your expectations. Property Management Services: We don’t just stop at the sale. If you are looking for a committed and qualified administrator of your property, look no further than to our property management team. From maintenance to tenant satisfaction, we can handle it all. The team at The Robert Weiler Company is committed to helping you achieve your commercial real estate goals. All of our commercial real estate professionals have the same mantra: we do what’s right by you—the client—and contribute to your success. We know that you have big dreams for the Central Ohio—especially Columbus, Ohio real estate community; we do too! Call us today to get started with a FREE consultation: 614-221-4286. Find out how you can leverage our commercial real estate services expertise to make the best investment or sale possible.